make your crepes too thick), just add a little more milk, one teaspoon at a time until the batter forms a perfect, delicately thin crepe. 1. 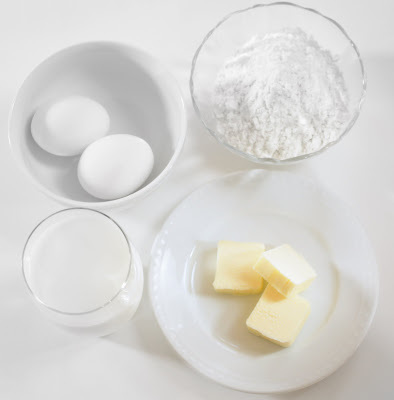 In a medium bowl, whisk together the flour, sugar and salt. Whisk in the eggs along with 2/3 cup of the milk until smooth. Gradually whisk in the remaining milk, melted butter and lemon zest Cover the bowl and refrigerate the batter for at least 1 hour (or up to 3 days). 2. Heat a small (about 8-inch) non-stick pan and add a small nob of butter. Pour about ¼ cup (2 ounces) of batter into the center of the pan and swirl to spread evenly. 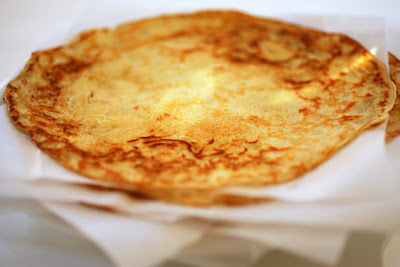 Cook it for 30-45 seconds, then flip the crepe and cook for another 20 seconds or so. Transfer to a plate and continue cooking the crepes, stacking them between pieces of waxed paper or parchment. 3. In a small saucepan, heat ½ cup of the cream with the cream cheese and ½ cup sugar over medium heat, whisking frequently until the cream cheese is melted and the mixture is smooth. Transfer the mixture to a medium bowl and set aside to cool to room temperature. 4. In the bowl of an electric mixer, using the whisk attachment, beat the remaining 1 cup cream with the sour cream, remaining ¼ cup sugar and vanilla extract until it forms medium peaks. Gently fold the whipped cream into the cheese mixture one-third at a time. Cover the bowl and refrigerate the mousse until ready to serve the crepes. 5. 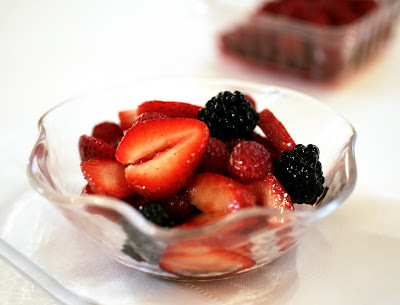 In a medium bowl, toss together the strawberries, sugar and lemon juice. Cover the bowl and let macerate for 45 minutes in the refrigerator. 6. Gently stir in the raspberries and blueberries. 7. 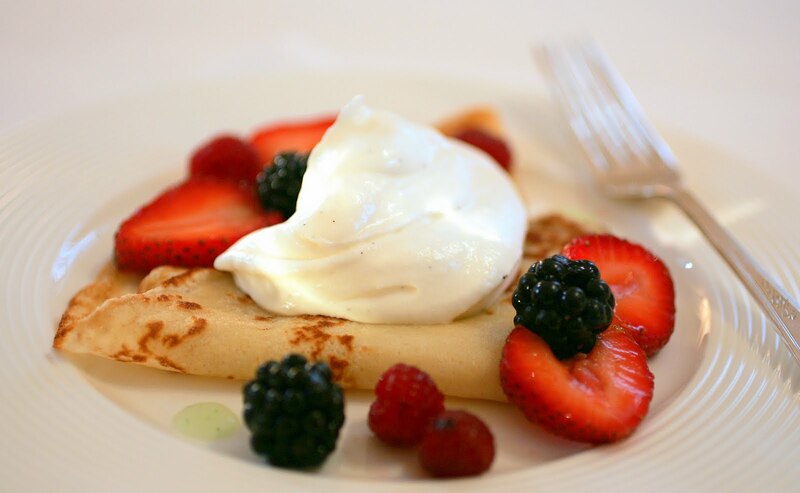 Place a crepe on a plate and spoon one-half with some of the Cheesecake Mousse filling. 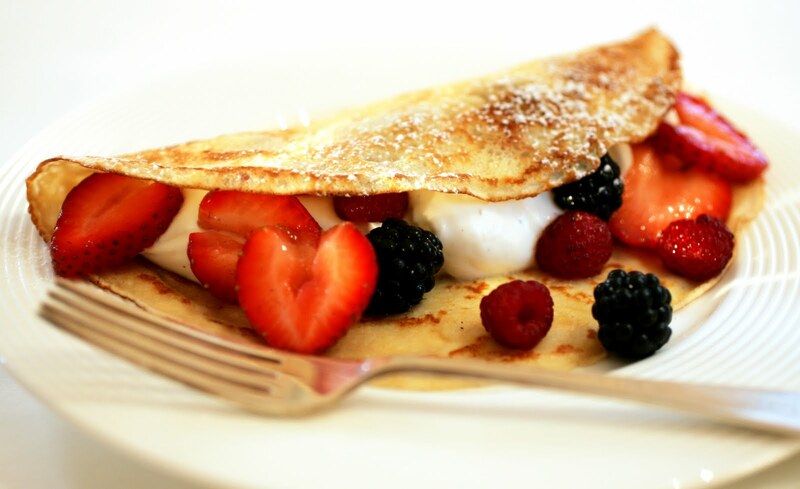 Spoon some of the Mixed Berries on top and fold the crepe over, exposing some of the filling. Dust with confectioners’ sugar and serve immediately.